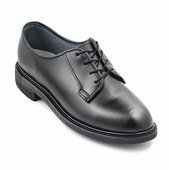 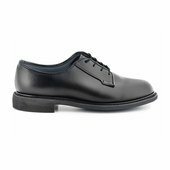 The women's black dress leather oxford is plain stitch toed, low quarter, laced shoe made of smooth or synthetic leather. Easy to polish leather featuring a long wearing Vibram® rubber outsole. 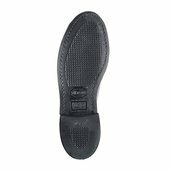 The heel shall be an outside heel 5/8 inch - 1 inch high, and the sole shall be 3/16 inch - 3/8 inch thick.